312 pages | 32 B/W Illus. The author, an 18-year veteran of the IT industry, is an experienced consultant, software developer, manager, and entrepreneur. Providing an authoritative and unbiased view, he helps the reader navigate through a number of offshore outsourcing issues related to software management and international business. He examines the potential benefits derived from offshore outsourcing, as well as the possible pitfalls and how to avoid them as they apply to an organization's particular situation. 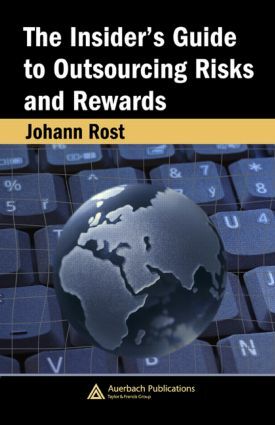 Offering a unique combination of technical and political insight, The Insider's Guide to Outsourcing Risks and Rewards is the one resource to have when trying to figure out your organization's next step.